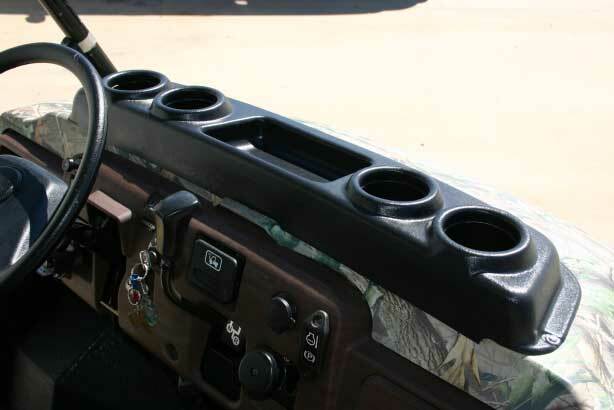 Our drink holder will fit ANY model of the 3000-series Kawasaki Mule. It fits the one seat versions, as well as the two seat 3010 (Trans) Mule. 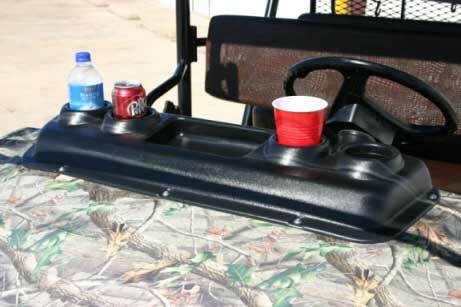 This is the most innovative drink holder for the 3010 Kawasaki Mule. We are so sure of this, that we have filed patent applications with the US Patent & Trademark office. Have you ever tried to ride in your Mule with a beverage? It’s almost impossible without our product! Our drink holder is constructed out of rigid ABS plastic and will hold four drinks, and also incorporates a small recessed storage area in the middle. The drink holder is fast and simple to install (3-4 minutes) and all hardware and instructions are included. Once installed, rest assured that the installation is a water tight process. NO water will leak to the inside of your hood storage area. The Hood will still open with this product installed, and if you have a windshield that opens and/or tilts? It works just fine with those too! 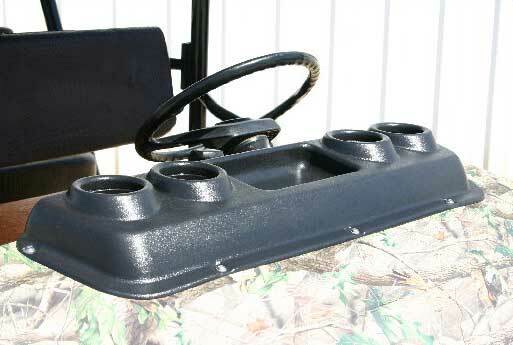 Like our hard top, this product is custom molded for the 3010 Kawasaki Mule, and is NOT a universal drink holder. Quickly install our product and it looks like an option that came from Kawasaki. Thousands of our drink holders have been sold and installed. Note: this product only fits the 3000-series Mules. 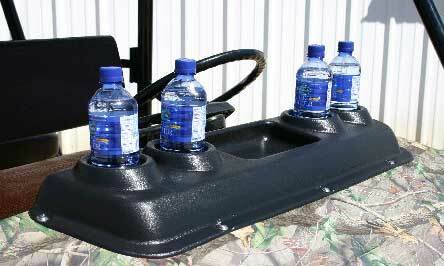 The new 4010 Mule has drink holders already as standard OEM equipment.